Bounce Protein Ball Almond keeps it simple for the nut-lovers amongst you. Packed with plenty of raw, tasty almonds and high quality protein to refuel your body. You'll love the combined crunch of the nuts and the whey protein crisp. Love almonds? Then this is the Bounce ball for you. Whey Protein Hydrolysate (from Milk) (2%), Tapioca Starch, Flavourings, Stabiliser (Guar Gum), Sea Salt, Antioxidant (Natural Mixed Tocopherols), Sesame Seeds, Stabiliser (Calcium Carbonate), Emulsifier (Sunflower Lecithin). No wheat, no gluten, no GMO, no artificial additives. 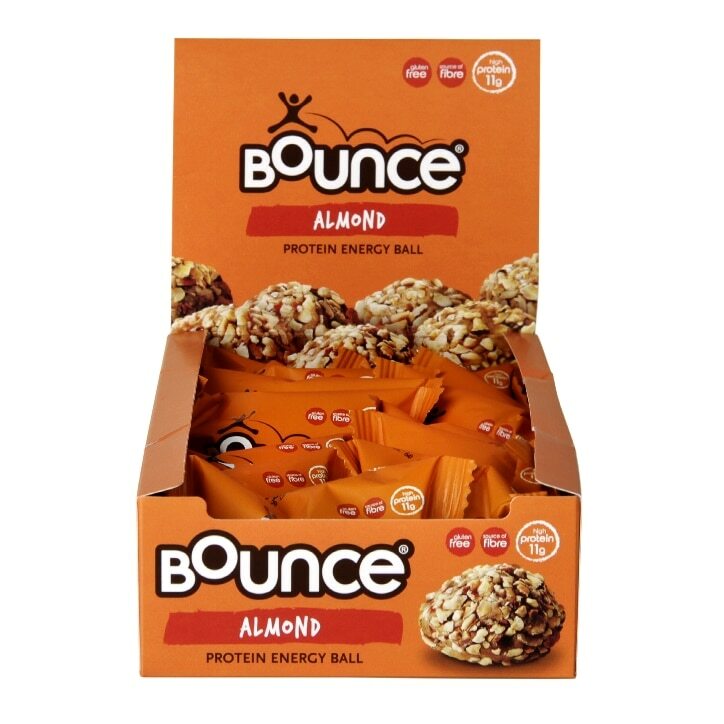 Bounce Almond Protein Ball is rated 4.6 out of 5 by 25. Rated 5 out of 5 by Cov256 from Small but mighty! A friend introduced me to these when I was looking to up my protein intake. They may be small but boy are they good! Because of the texture you end up taking small bites and that's great for giving your body time to know it is having enough to eat. And the flavour is GREAT! Not overly sweet but still tastes like a treat. I love them! Rated 5 out of 5 by Monx from Great and so tasty!!! Love it, will buy it on regular basis as this is the only breakfast I can tolerate.